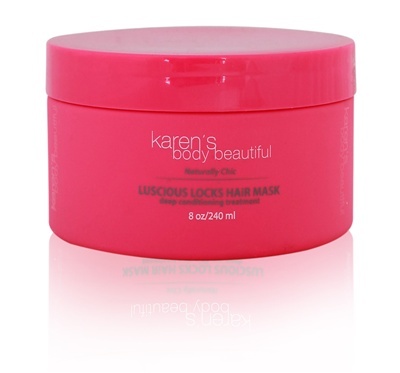 Product Description: The Luscious Locks Hair Mask is a wonderfully nutritious conditioning treatment that you can use as often as your hair needs it. Conditioning doesn’t get deeper than this because everything you need for your hair is in this jar. Saturate your strands with this rich blend of herbs like shikakai and rosemary which are known to promote hair growth, arnica and nettle to strengthen your hair follicles and aloe for much needed moisture. It’s called Luscious Locks for a reason. My Experience: A few weeks ago I decided to give my KBB Luscious Locks Hair Mask a try and I was so surprised by how soft and manageable my hair was afterwards, a feeling I don’t ever remember achieving after any other deep conditioner. I’ve had two jars of it for a few months now. I received both for free at two different natural hair events. My Results: I love this product. It worked so well with my Heat Therapy Wrap. In my 2.5 years natural I can’t recall ANY product that has ever made my hair feel this good or manageable after being dry and brittle, especially after the first use. I’ve already used one jar (5 applications per jar for my length and thickness) and my hair has never felt more moisturized after a deep treatment. Never. When I decided to stop chemically treating my hair in November 2009, I had no idea what I was doing. My research began on naturallycurly.com and eventually graduated to YouTube (which has been an amazing resource) and tons of other sites and blogs. But, as I was getting to know my hair, I was also getting to know a lot of products. I’ll admit, I learned about most of the products by using the hair typing system which many naturals don’t like but it worked for me. Along the way I bought a LOT of products before even big chopping in January 2011. I still have a few from when I transitioned that have never been used. (Please don’t tell my mom. Lol.) The one mistake I’ve made along this journey was buying products I wasn’t sure my hair would like and not realistically possible for only one person to use. Over the last year and a half I’ve given away and sold products, but I still have too many!!! And, every event I attend usually means more new fun things for me to try. 🙂 This January I took a stand and implemented a “freeze”. I’m proud to report that so far I’ve only purchased four this year. My 3 year curliversary is in November and I’m proud to say that I know what products work best for me during each season and in different climates. However, if I knew then what I know now, I would have taken some of the steps below to save time and money. 1. Don’t buy a product unless you’ve tried it for FREE (or purchased a trial size) and know it works for you. Yeah, I know that sounds unrealistic but it’s absolutely possible. I attend so many events (and they’re usually FREE) that I receive enough products to probably survive (yes, survive) without needing to purchase for months. 2. 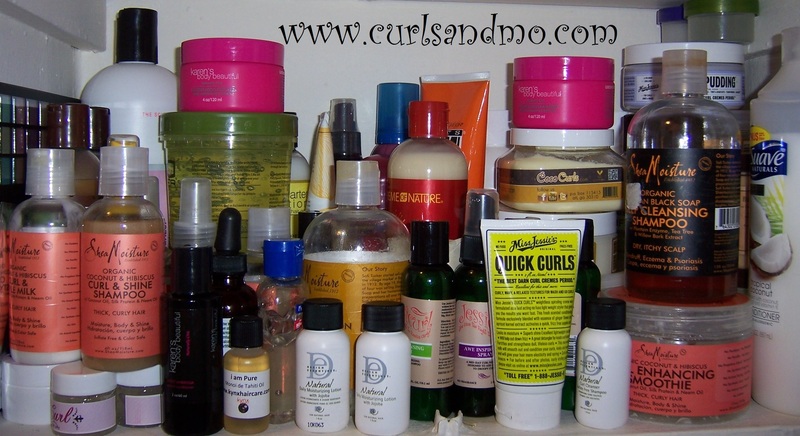 Try a curly subscription service like curlBOX or CurlKit. These companies deliver products right to your doorstep for a reasonable fee each month. 3. Swap products with a friend or on a forum. Curly Nikki has a great swap forum. Check it out here. 4. 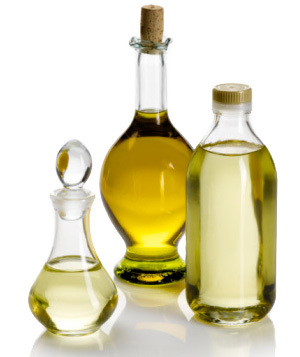 Ask friends for samples of their products if they have something you want to try before you buy. 5. Try EVERYTHING you get for free. Well, obviously not everything. If you don’t straighten your hair you have no use for heat protectant. BUT, you might receive a product with similar ingredients to one you already use that costs less. If you don’t try the new product, you’ll never know whether your hair likes it, which in turn could save you money. 1. Hit “Plastic” Before Buying Another. My product restriction was inspired the Pan 10 Project on YouTube. You pick 10 beauty products you won’t repurchase until you have “hit pan” on that product. (“Pan” symbolizes/is what foundation come in. So once you hit “pan” you’ve hit the bottom of the product.) I’ve started my own form of Project Pan called Project Plastic. I can’t buy a similar product until the plastic at the bottom of the jar or container is showing. Period. 2. Quit! Set a realistic goal for yourself. Decide how long you will not buy products AT ALL and stick to it. I didn’t set a “date” for myself because I knew I would be tempted to break it. Instead I decided that if I can’t fit the product on my product shelf, I won’t buy it. I hope these tips were helpful, curlies. If you have any tips on how to avoid becoming (or remaining) a product junkie, please share below. Product Description: The Regenerist Microdermabrasion & Peel System combines the power of two treatments that actively work together to give you the benefits of microdermabrasion and a mini-peel treatment. Yet it’s gentle enough to use up to two times a week for continuous results. Add it your skin care routine to visibly improve skin tone and diminish the look of fine lines and wrinkles. Ingredients: microdermabrasion treatment with derma-crystals: peg-8, sodium bicarbonate, silica silylate, polysorbate 20, niacinamide,* tocopheryl acetate,† ascorbic acid, fragrance, yellow 5, red 40. 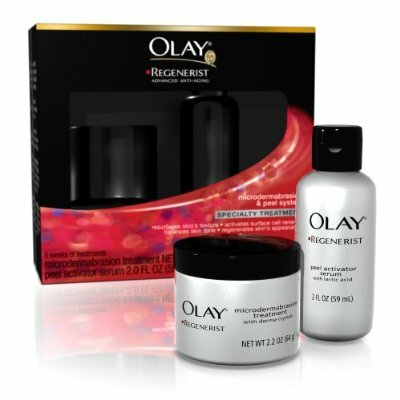 My Experience: I recently purchased the Olay Regenerist Microdermabrasion & Peel System at ULTA. It’s an at home microdermabrasion system comparable to Philosophy’s The Microdelivery Peel. For a while I debated whether to get a chemical peel and/or a few microdermabrasion sessions. But, honestly, the idea of a chemical peel scared me and I was skeptical about microdermabrasion treatments because when I got one in the past (when my skin was flawless ::sigh::) I didn’t really see any results. My Results: I definitely see a difference in my skin. I follow it up with Clinique Dramatically Different Moisturizing face lotion, part of Clinique’s 3-part set. I also apply vitamin E directly from a gel capsule to trouble spots. Tip: The product, sometimes discolors my nail polish. If you are going to use this, be aware that yours might get discolored, too. Click HERE to watch my YouTube video review on this product. Have you ever had microdermabrasion? How many treatments before you saw results? Please share below. If you love summer as much as I do, then you’ve definitely been enjoying the weather, here in NY. While summer is my favorite time of year, the sun and heat can take a toll on your skin and body, if you don’t take preventative measures. Below is a list of my Top Ten summer beauty products. 1. Sunblock – I make sure I use sunblock every day on my face and body. Most people only apply sunblock where their skin is exposed. However, remember UVA and UBA sun rays can penetrate clothing, especially white which is a summer staple for me. For my face I recently switched to Ambi Even & Clear Skincare Daily Moisturizer, SPF 30 from Aveeno Active Naturals Positively Radiant Daily Moisturizer, SPF 30. I like the Ambi more because it’s lighter, leaves my skin less greasy and shiny, costs less for more product and smells better. For my body I use Aveeno Daily Moisturizing Lotion, SPF 15. It doesn’t leave a sticky residue like the sunblocks I usually wear at the beach or pool. 2. Lip Glosses & Balms with SPF – SPF is important for your face and body, but also your puckers. The Wet N Wild Juicy Lip Balm, SPF 15 that I reviewed here, has really grown on me. I wear it every day to work now, if I want a little color. Otherwise I’ll use my Softlips Lip Protectant, SPF 20. If I’m going out, my favorite lip gloss is Clinique Long Last Glosswear, SPF 15. I received a tube as a free sample and I have to purchase more asap. 3. Cover Up – During the summer I want my face to feel as light as possible. I stay away from foundation but use MAC Select Moisturecover Cache-Cernes to conceal any imperfections. If you need significant coverage, another option is tinted moisturizer with SPF. 5. Exfoliating Shower Gloves – While you’re in the shower using that pumice stone (hint), don’t forget to exfoliate your body, too. I use exfoliating shower gloves. I prefer the gloves because they are sold as a pair (Target, dollar stores, etc.) as opposed to mitts which are sold separately forcing you to buy two or switch hands. Exfoliating helps the skin absorb lotion and creams better. It also makes self-tanners more even and last longer, if that’s your thang. 6. Pumice Stone/Ped Egg – There is NO excuse for crusty feet. It is crucial that you keep not only your toes pretty (see #7) but your FEET, too. This means the heels. With so many products like the Ped Egg and cheap pumice stones on the market, make sure your feet are on point especially during the summer. Period. 7. Fun Bright Nail Polish – I’m an essie girl. There probably isn’t an essie polish I wouldn’t wear. The consistency is so smooth and the colors are so pigmented. Usually only one coat is sufficient. This spring and summer neon colors have been very popular. I’ve been crushing on Play Date (shown above), I think that’s my next essie purchase. Tip: to make your neon polish really pop, apply one coat of white polish after your base coat, before your color. 8. Baby Powder – In the heat it is imperative that you stay so fresh and so clean clean. My favorite powder is Johnson’s Baby Powder. While I think powder is great, ladies, it should not, I repeat should NOT be visible on any exposed parts of your body. Period. Tip: if you’re wearing a dress or skirt, rub some on your inner thighs (if you have beautiful thunder thighs like me LOL) to avoid friction. 9. Blotting Paper – These are essential during the summer to cut down on shine. Clean & Clear Oil Absorbing Sheets are a staple for me. I also have elf sheets. Tip: If you have trouble skin, try NYX Tea Tree Blotting Paper. The tea tree is good for treating blemishes while controlling shine. 10. Body Splash – During the summer we all want to be as fresh as possible (hopefully). Body splash is a nice refresher and can be carried in your purse, especially if you’re going out after work. My absolute fave is Sea Island Cotton by Bath and Body Works. Of course the TOP beauty product is water. Make sure you stay hydrated! Please share your faves below.